View More In Audio Docks. The new iPhone 5, iPad mini and other wireless devices are awesome -if they're used to their full potential. The JBL OnBeat Rumble speaker dock is Bluetooth-enabled (with HARMAN TrueStream connection technology), and its built-in subwoofer delivers massive JBL sound with roaring bass from your portable players. Whether your device is docked on its Lightning connector or streaming wirelessly, you'll get thunderous sound when listening to music, watching videos, playing games or doing FaceTime video calling with friends. Download the free MusicFlow app and use your device to browse music, edit playlists and dial in your EQ settings. 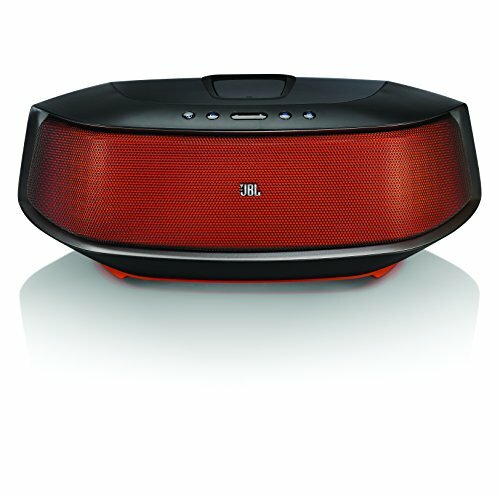 If you have any questions about this product by JBL, contact us by completing and submitting the form below. If you are looking for a specif part number, please include it with your message. © 2019 - gotbustedmobile.com. All Rights Reserved.